This postcard is dated August 27, 1909. 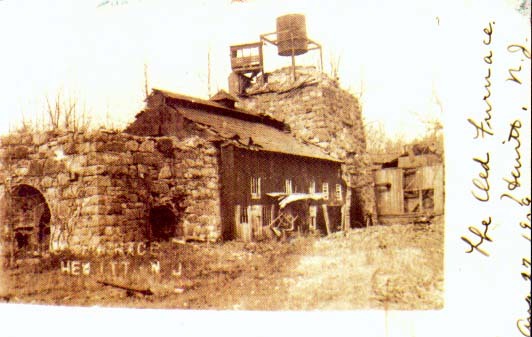 The two Civil War-era furnaces and casting house between them, as well as a wheel house in the distance, are shown. The north furnace had been converted to burn anthracite coal. The furnaces went out of blast in 1882.